Dalston Junction is a four-platform station and these are the only stairs at the station. I think the design is excellent. They serve all four platforms, so you can’t go the wrong way! They are very wide, so have a high capacity. There are effectively four handrails for those like me, who want or need to hold on. Fit travellers who can lift their case, can use the stairs. There is a landing half-way up. in 2017-2018, the stairs handled nearly six million passengers. The small number of interchange passengers don’t need to use the stairs and walk between platforms on the level. The steps are Transport for London’s typical low-slip design. At the bottom of the staircase, there is a wide landing area with two train information displays and a 20-30 metre walks to the four platforms. At the top of the staircase there is a wide lobby, with the wide gate-line in front of passengers coming up the stairs. There is usually, a member of the station staff watching the passenger flows and answering any questions. But above all there is a single lift about ten-twenty metres from the stairs, so avoiding the stairs is easy and obvious. I have seen few stairs in stations as well-designed as these. A few more general observations. This design of stairs is being increasingly seen in London and around Europe. In Stairs And A Lift At Cannon Street Station, I show a similar installation. 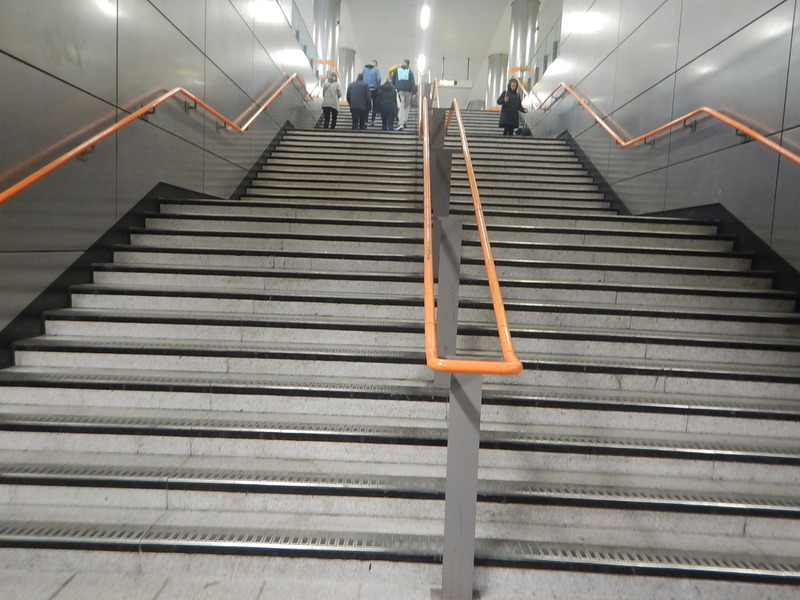 But there are loads like this monstrosity at Bethnal Green station in Before Overground – Stairs Not Fit For Purpose. How many stations could be improved by widening the staircase? Probably quite a few, but many staircases are constrained within solid walls. 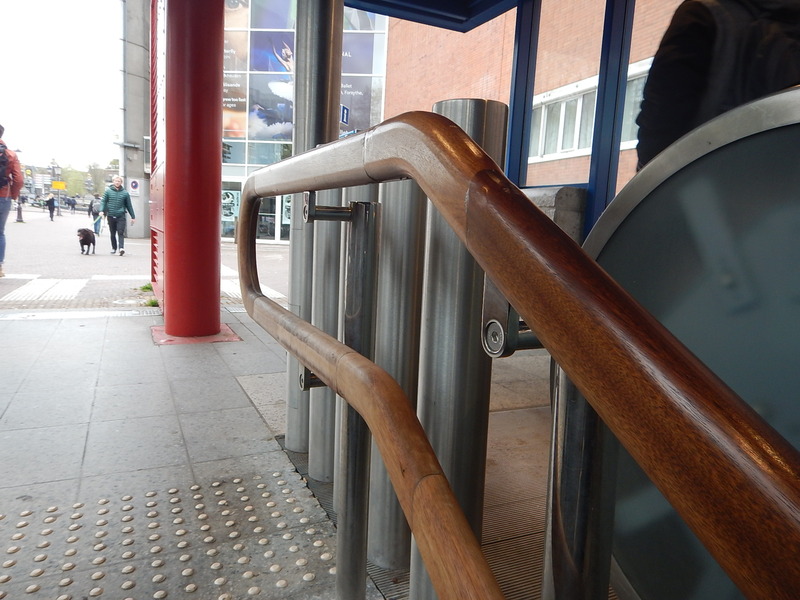 Transport for London generally use round and easy-to-grip handrails. These are the best I’ve seen, which are on the Amsterdam Metro. Some on British Rail-era stations are big and square and must be difficult for those with small or frail hands. At Dalston Junction, the lift is obvious as you approach the stairs. But in some stations, the lifts are at the other end of the platform. These pictures show the solution at Greenford station. A staircase,which is as wide as possible. There are three handrails with a low rail for those who prefer it. There is an inclined lift, which saves space. I think we’ll see more step-free installations of this style. I won’t comment on safety, as I don’t want to bring bad luck to the installations. All those designing staircases and lift systems for stations, should be made to visit Dalston Junction and Greenford stations in the Peak. Do We Sometimes Misjudge The Consequence Of New Railways And Roads? I ask this question after reading this article in the Hawick News, which is entitled Calls for extension of Borders Railway to Hawick building up fresh head of steam. It was this phrase that worried me. It looks like building the Borders Railway has hurt businesses in Hawick. And what about other places in the area like Selkirk? I think we’ve seen this before in other places. 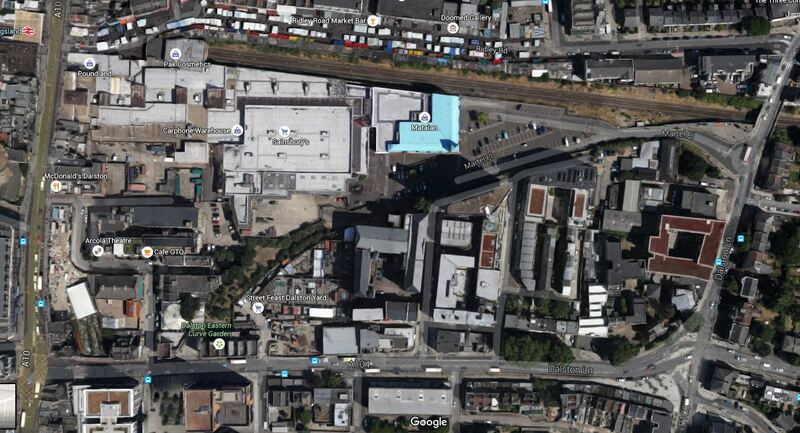 Where I live near Dalston Junction station, has seen a massive uplift, since the creation of the East London Line. It was in some ways predictable, but I don’t think Transport for London expected the uplift that happened. Our predictions, were never good in the past, but they don’t seem to be improving. I wonder how far out predictions will be for Crossrail/Thameslink? Crossrail and Thameslink working together will make a lot more journeys single change. Crossrail has good connections with the East London Line. Crossrail gives much improved access to the Bakerloo and Northern City Lines. Crossrail/Thameslink gives much improved access to Canary Wharf, the City of London, Gatwick Airport, Heathrow Airport, Luton Airport and Oxford Street in the centre of the cap[ital. One consequence I see, is that those with Freedom Passes like me, will use the new free railways to advantage. Roll on 2018 and 2019! Thameslink is a railway, I don’t use much these days, as getting to stations is not that easy, since London Bridge was taken off the route, by the rebuilding. St. Pancras is an absolute pain of a station to use, as the station was designed by a sadist with long tunnels from the deep-level Underground lines. Farringdon is a better interchange going South, as it is step-free from the Westbound Metropolitan Line, which I take from Whitechapel after using the East London Line from Dalston Junction. But going North coming home from Farringdon is not easy. 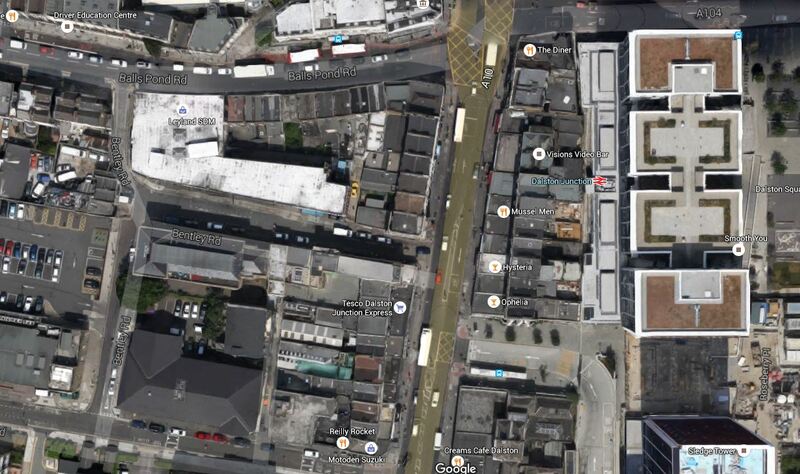 City Thameslink is a bit of a walk from the 56 bus, which stops by my house. Blackfriars is not the easiest station to get to from my area. These are my thoughts about using Thameslink after about 2018, when the Great Northern Metro is open with its new Class 717 trains. 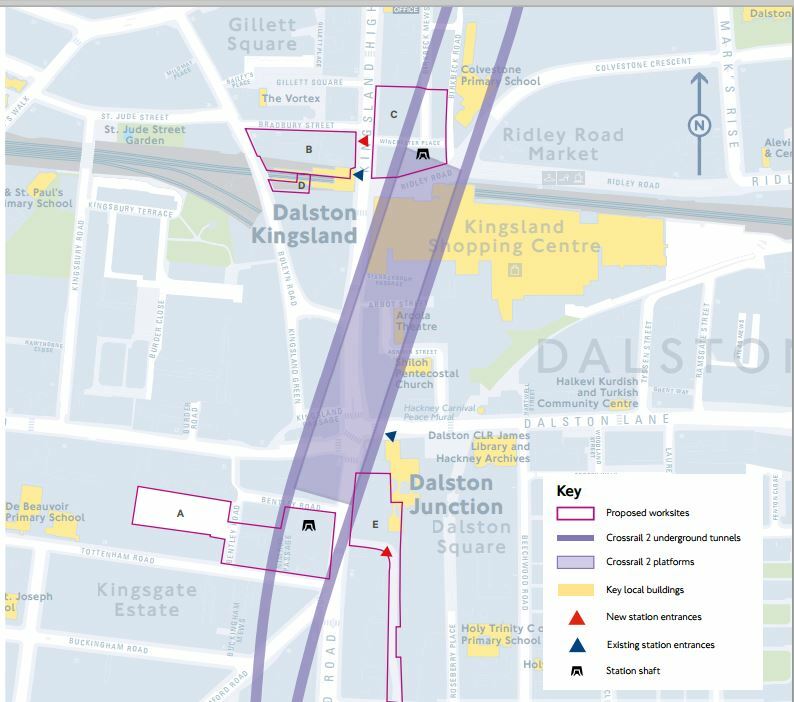 Living where I do approximately midway between Highbury and Islington, Dalston Junction and Essex Road stations, getting to some major rail termini can be difficult and if I was taking a case with me, I would have to use a bus or taxi. I tend to avoid Highbury and Islington station going out, as the station and its environs is in desperate need of a rebuild and to get say to the Victoria Line for Kings Cross is a long and difficult walk from the bus stop and through the maze of roads and tunnels to the platform. But with Essex Road station having a frequent bus service from the stop nearest my house and a 10 tph connection to Finsbury Park, that will be my route to get to Thameslink going North to Cambridge or Peterborough. I have a choice of routes to go South on Thameslink. 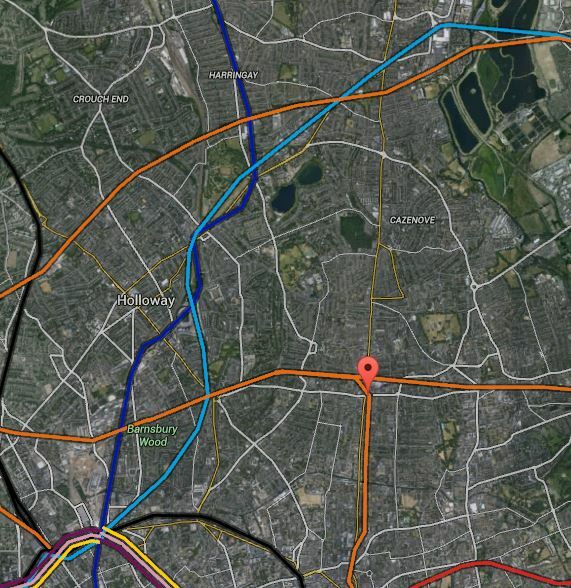 I could take the same route as for going North, but the interchange at Finsbury Park is a dreaded down and upper. I can take a 141 or 21 bus to London Bridge station. I regularly use this route coming home, but going South is dreadfully slow through Bank. I can take a 38/56 bus to the Angel and get the Northern Line to London Bridge. I can take a 56 bus to St. Bartholomews Hospital and walk downhill to Farringdon station. I can take a train from Dalston Junction to Canada Water and then use the Jubilee Line. Don’t suggest the Victoria Line to St. Pancras as the walk in the depressing tunnel at Kings Cross is to be avoided at all costs. Don’t suggest a 30 bus to St. Pancras, as it requires a long walk through the busy Shopping Centre at St. Pancras because Thameslink doesn’t have a much needed Southern entrance. I could always go via Essex Road and Finsbury Park. I actually would like to take a train from Dalston Junction to say New Cross Gate for East Croydon and get Thameslink or the myriad Southbound services from there. But the new proposed timetable for 2018, would seem to make that an more difficult dream, unless I wanted to wait for a long time on say Norwood Junction station. Going North is easy, but as they don’t serve the \greater East London, GTR treat us with contempt and make it difficult for us to use Thameslink easily, if we’re going South. This article from the South London Press is entitled More Trains For The London Overground. The article says Transport for London (TfL) wants to make two service improvements are on the East London Line. From 2018, there will be an extra two trains per hour (tph) between Dalston Junction and Crystal Palace. From 2019, there will be four additional trains between Dalston Junction and Clapham Junction, making the frequency 8 tph. I found the source of the report on TfL’s web site. This is a handy summary from the Appendix. It looks like the pattern of extra trains is as follows. From 2019, there will be an extra 2 tph between Dalston Junction and Clapham Junction, making the frequency 6 tph. Currently both these services go to Highbury and Islington. It’s interesting that these increased services are starting in 2018-2019! This times them to start just as Crossrail and Thameslink are opening, which probably means that TfL are expecting that a lot of Crossrail passengers will change to and from the East London Line at Whitechapel. As I will, no doubt! Buried in TfL’s Transport Plan for 2050 says are possible plans on improving the service on the East London Line. Better late night and overnight services on the Overground. Automatic Train Operation on the core of the line from Dalston Junction to Surrey Quays to increase service frequency from 16 tph to possibly as high as 24 tph. Six car trains on the Overground. The announced service improvements will mean that 20 tph will be passing Whitechapel and Canada Water. So will we see other services started to bring the line up to the 24 tph capacity? This would give London three almost-new 24 tph lines crossing the city; Crossrail, Thameslink and the East London Line, in an H-shape. 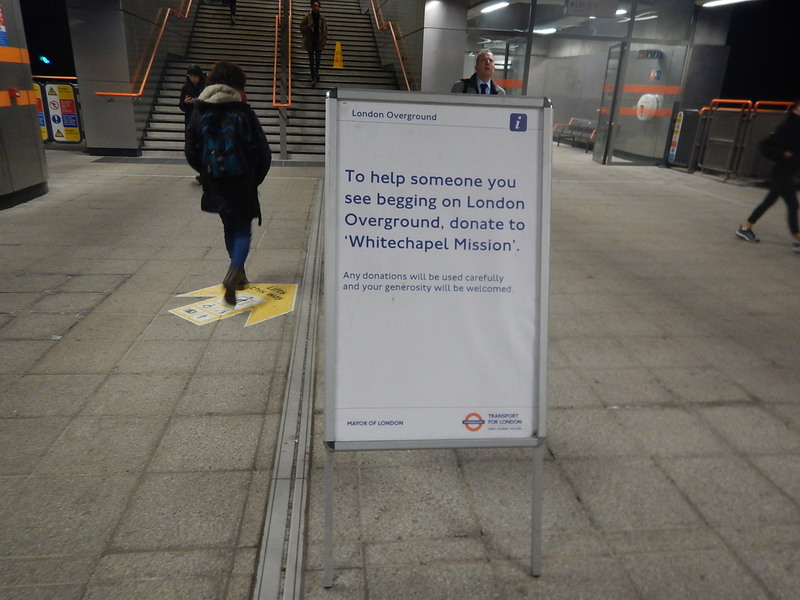 TfL don’t sem to be planning it yet! The increase in frequency from Dalston Junction to Clapham Junction station is very welcome to me, as I often take a train to Clapham Junction to go south to Brighton, Gatwick or other places. Increasing the frequency to Clapham Junction may also be needed, as extra stations and other changes are added to this branch of the East London Line. New Bermondsey station will be opened to take advantage of the six services per hour between Dalston Junction and Clapham Junction. Clapham Junction might be served by the Northern Line Extension some time in the early 2020s. Clapham Junction may well be served with other services to take the pressure off Victoria and Waterloo. It always strikes me as a station, that since its latest improvements could handle more services. 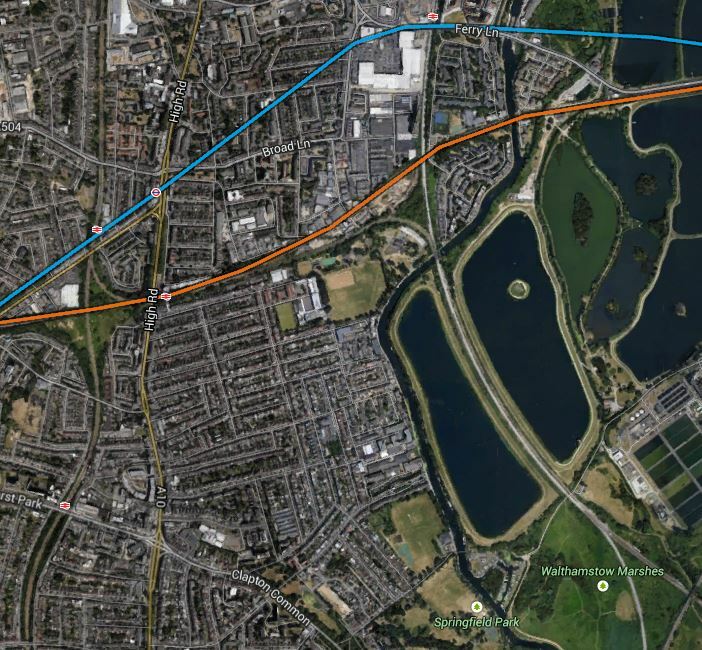 Camberwell station, which has been promised for some time, could finally be under way, to connect the East London Line to Thameslink at Loughborough Junction station. A design based on the split-level principles of Smethwick Galton Bridge station may solve the connection problem. The only difficulty of this frequency could be that there might need to be upgrades at Clapham Junction to turnback more trains. Increasing the frequency to Crystal Palace station will be of less use to me, as I’ve rarely used that service. If it linked to Tramlink, I might use it more, but that extension to Tramlink was dropped by Boris and there seems to be no enthusiasm on anybody’s part to build it. 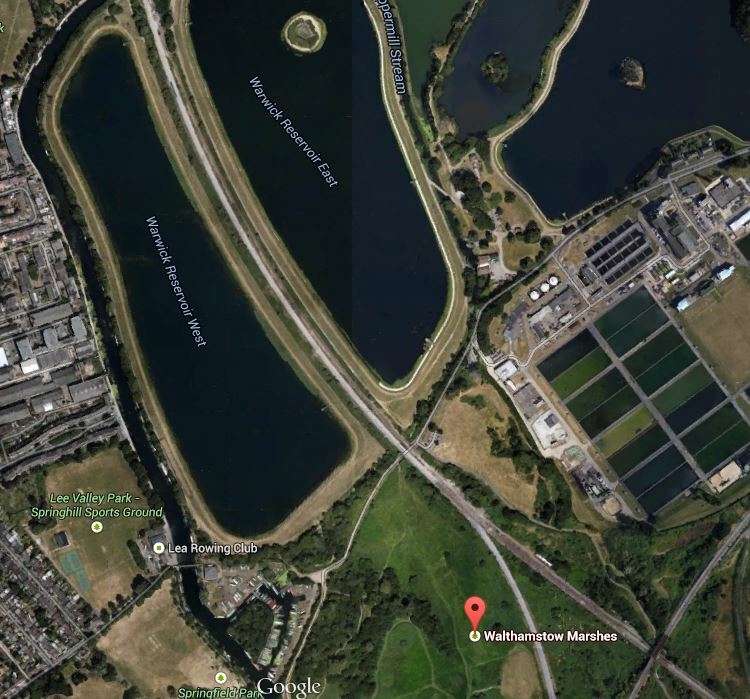 I do wonder if Transport for London have other plans for Crystal Palace in their mind. 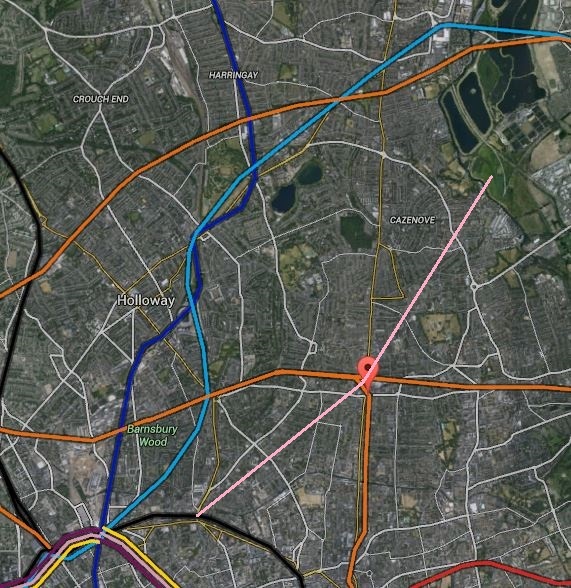 Look at this Google Map showing Crystal Palace, Penge West and Penge East stations. Crystal Palace is a fully modernised and accessible station with lifts, a cafe and lots of platforms, so it makes an ideal terminus for trains on the East London Line. Penge West is not the best appointed of stations and I suspect if a much better alternative was provided nearby, no-one would miss the station. Penge East is on the Victoria to Orpington Line and needs upgrading for step-free access. But it has the problem of a Listed footbridge, that should be burnt. I wrote about it in An Exploration At Penge. Buried in TfL’s Plan for 2050, is the one-word; Penge, as a possible new station. The line through Penge East passes under both the Brighton Main Line and the branch to Crystal Palace, in an area of railway land. After looking at Smethwick Galton Bridge station or as I called it, Birmingham’s Four-Poster station, I do feel that a good architect could design a station, that solved the challenging problem of the difference in height and created a fully-accessible interchange. This station could have a lot going for it, as services passing through the station would include. 6 tph between Dalston Junction and Crystal Palace and 4 tph between Dalston Junction and West Croydon on the East London Line. A selection of the East London Line services would go to Highbury and Islington. 2 tph between London Bridge and Caterham on the Brighton Main Line. 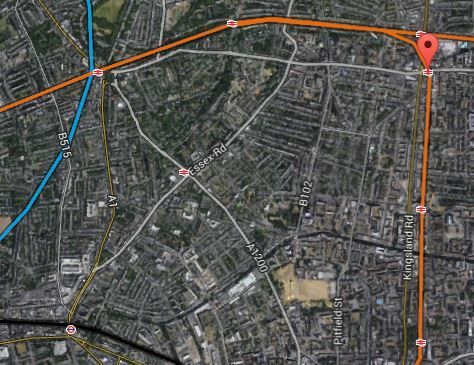 It would increase connectivity greatly all over East London, both North and South of the river. 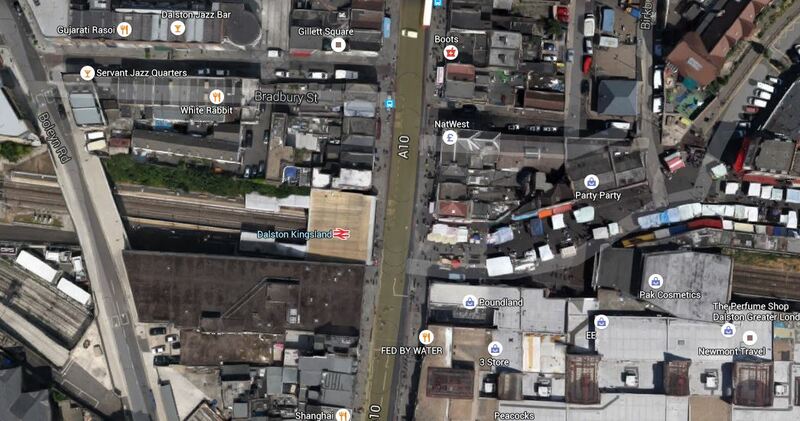 I suspect too, that the station would open up the brownfield land around the railway for property development. I think there is a strong case to watch that area of Penge!